Aflex is Australia’s only bellows manufacturer accredited to ISO-9001:2015 quality standard. 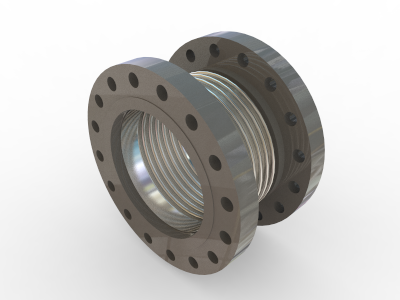 We take great pride in manufacturing high quality products, and our industry leading quality assurance and management system is fundamental to our manufacturing environment and unsurpassed in the bellows industry. 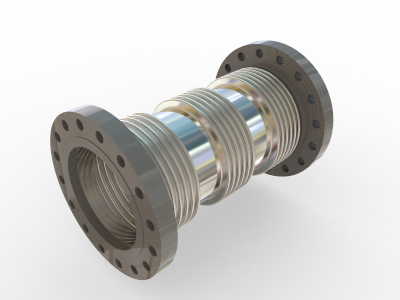 Aflex (Formerly Axial Dynamics) manufactures a wide range of bellows assemblies or expansion joints, at our manufacturing facility in Sydney, NSW. All our bellows are manufactured right here in Australia, and we are proud to be Australia’s premier metal bellows manufacturer. We’ve listed some of our main assembly types below, however you may also want to check out our gallery page, updated daily, with our manufactured items. A basic, unrestrained expansion bellows. This assembly type allows some flexibility in all directions. 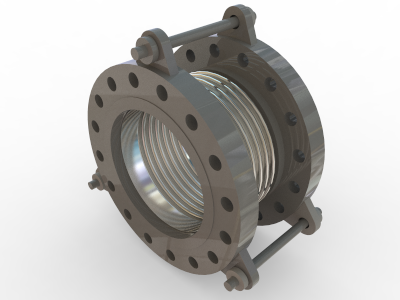 An unrestrained ‘double bellows’ assembly, that allows lots of flexibility all directions. 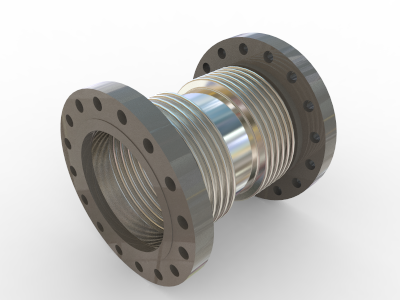 A highly flexible bellows assembly allowing extremely large offsets for low pressure applications. A basic restrained expansion bellows allowing some lateral flexibility along with axial flexibility in compression only. 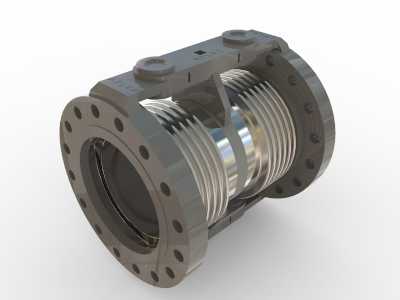 A restrained, universal bellows assembly, allowing lots of lateral flexibility. 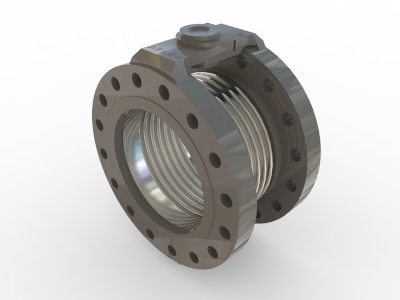 A fully restrained single expansion bellows assembly, allowing only angular flexibility on a single plane. Used as part of an engineered pipeline movement solution. 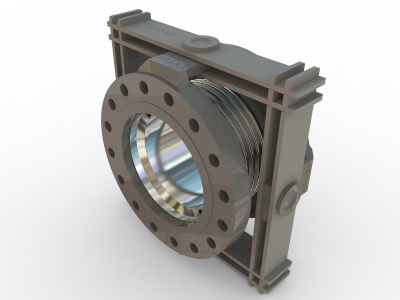 A fully restrained double bellows assembly, allowing only lateral flexibility in a single plane. Used as part of an engineered pipeline movement solution. 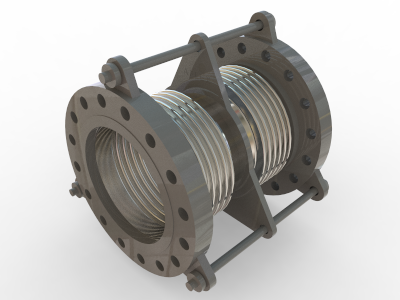 A fully restrained single expansion bellows assembly, allowing only angular flexibility on two planes simultaneously. Used as part of an engineered pipeline movement solution. 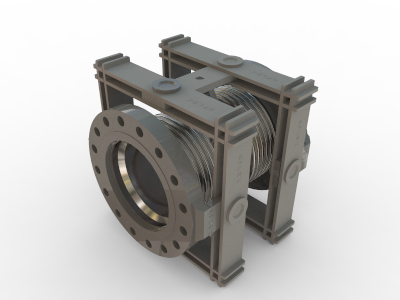 A fully restrained double bellows assembly, allowing only lateral flexibility in a two planes simultaneously. Used as part of an engineered pipeline movement solution. 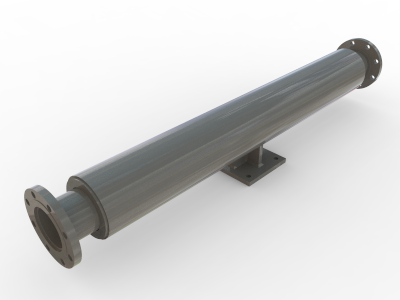 A semi restrained bellows assembly, allowing large axial flexibility (no lateral or angular flexibility). 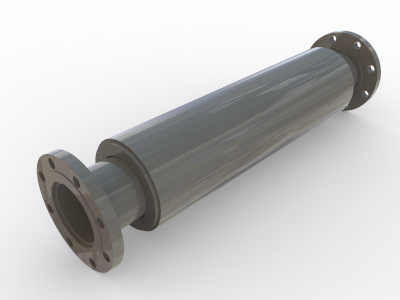 A semi restrained bellows assembly, allowing extremely large axial flexibility (no lateral or angular flexibility).